I have been lucky enough to continue working with Vanessa, of Wanderlust this year. She is so awesome and supportive, and it is an amazing feeling to see your hard work on display in a real live store. It doesn't hurt at all that its an incredibly cute store run by an even cuter gal. If you are a local pal (hello!) you should probably stop in the shop. 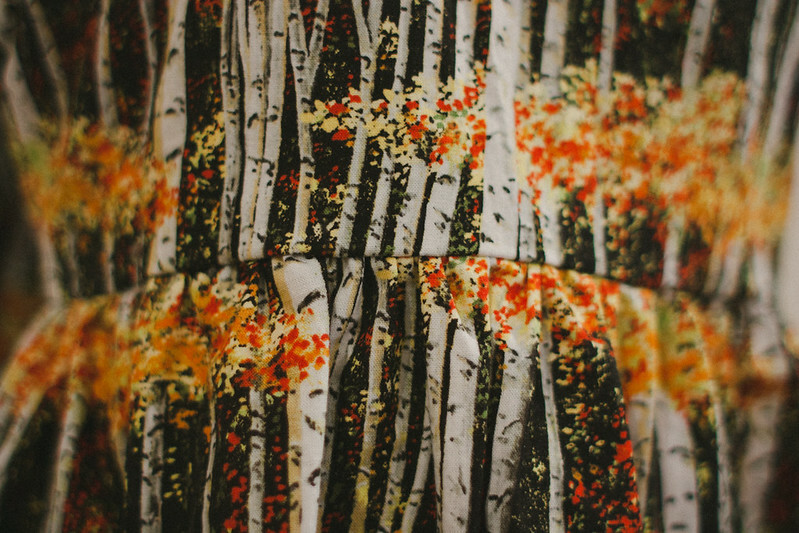 I have been making the special forest dresses you see here just for Wanderlust, so that is even more of a reason to swing by. What a wonderful fabric and sweet dress made out of it! 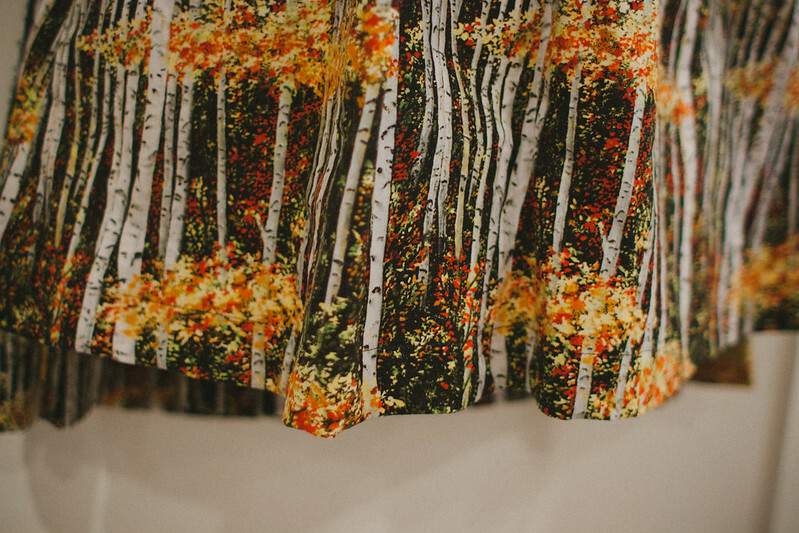 Oh I love those forest dresses. Wish I could stop by! That dress is absolutely amazing. So many pretty details. I love the fall colors! 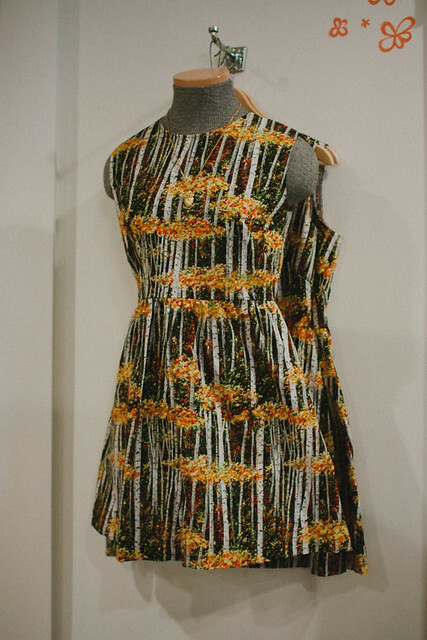 Ohhh my goodness I'm so sad I don't live in Portland, I'd love to snag one of those GORGEOUS forest dresses! Your work is so amazing! That printed dress makes my heart skip a beat! How lovely. Oh wow. What a perfect fall dress! I am smitten! I just stopped by to invite you to a giveaway I am hosting http://jasminblancboutique.blogspot.co.uk/2012/10/giveaway-earth-jewelry-set-for-him-and.html as a herald of my new collection! :) Would love to have you! that is SUPREMELY exciting :) congrats! 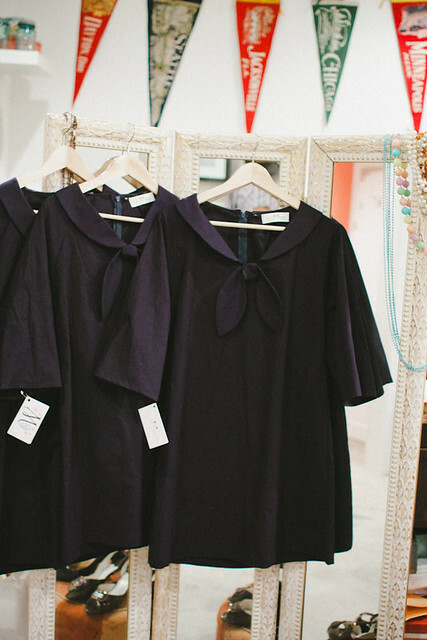 those dresses are lush. The details on that dress and the print are so beautiful! Ohmygosh the forest dress is a dream! I love the second dress fabric. It’s lovely. And it will be match for any color ok skin.